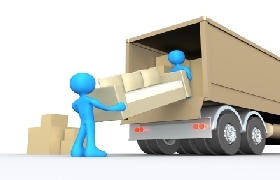 Interstate Removals will find you the Backloading Removals prices and organise your Removal with the best interstate removals company. We offer Backloading Removal Rates on all routes, and this can help save you money, whilst still providing you with the service you require to ensure a smooth move.. It seems that nowadays everywhere you turn there are more and more websites chasing your business, and whilst we welcome genuine competition, we do want you to be aware of some of the problems you may run into and how you can spot the fly by night websites. Be Aware! Some businesses have multiple web sites all for the one business. If you don’t speak to the person who sent your quote or if you phone a different telephone number and end up at the same business as another web site be very suspicious. Read the website, if it looks cheap then move to the next…. Here at Interstate Removalists we realise that not any two jobs are the same. We appreciate talking to our customers and helping them organise the best possible move for their requirements. I’m trying to move my storage locker from Melbourne to the Sunshine Coast in Queensland. My locker is around 3X3 with the largest item being a bike and 4 seats table and chairs and several boxes. My days are very flexible, so I would be looking to back loading to make it as affordable as possible. If I could get a quote, that would be great. Murray Bridge to Cranbourne. Approx 4.5 Tonne. Can we ask what your moving? That way I can work out a quote.